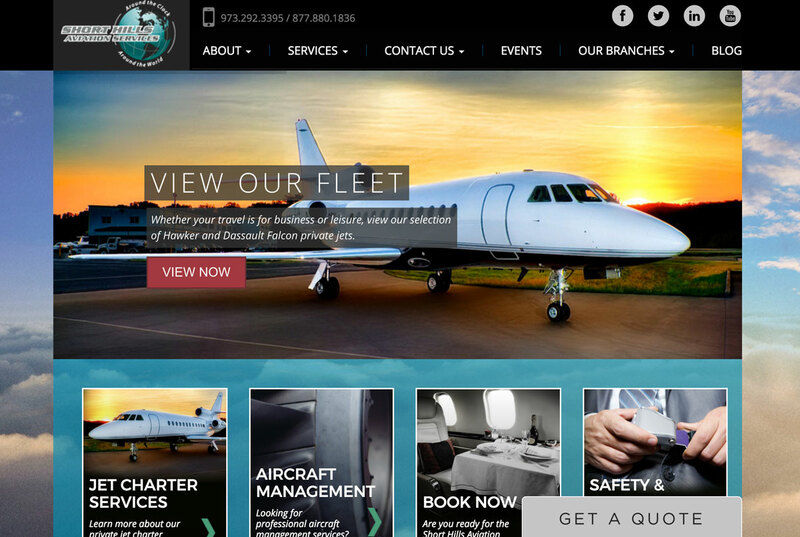 While serving as the Creative Director for Fortune Web Marketing, my team was tasked with redesigning the website for Short Hills Aviation, a private charter jet service. Move the slider to the left to see what the original Short Hills Aviation website looked like, prior to my team’s redesign. 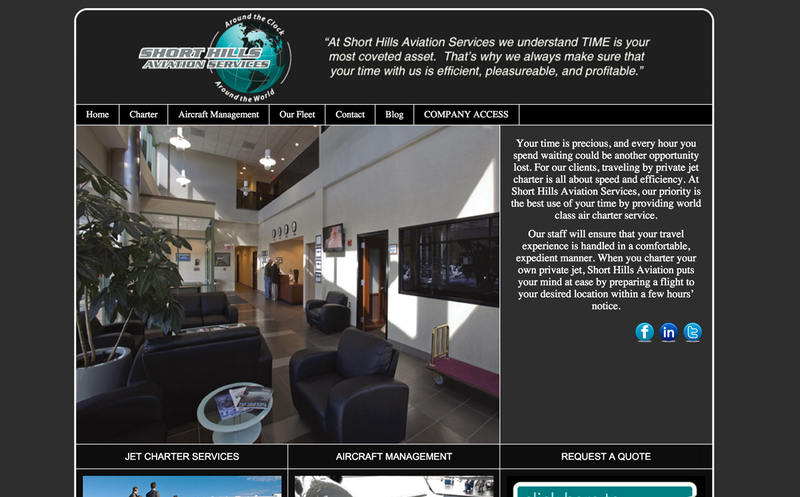 Move the slider to the right to see what the Short Hills Aviation website looked like after the site was redesigned.